Today is our final day on the coast. 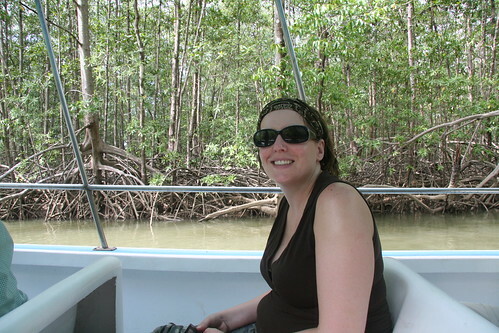 We planned an excursion to the Damas area, north of Quepos, to take a boat tour through the mangroves. 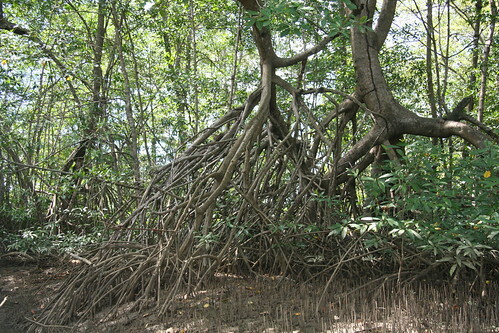 With my love for Man vs. Wild, it seemed appropriate to integrate the mangroves into the tour. You could either kayak or boat through it. We opted for the boat since it would be more conducive for wildlife viewing. I wouldn’t want my 400mm lens to end up in the bottom of the water. We left around lunch time and boarded a bus to the area. Upon arriving, we were served a traditional Costa Rican lunch like the one I featured in the first blog post from the trip. Kim says she is all set to start making that one when we get home. 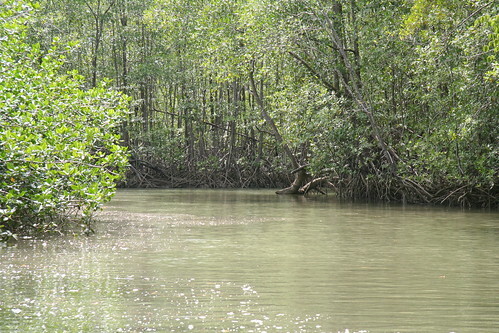 After eating, we jumped in the boat with 2 other groups and set off to explore the mangroves. If you don’t know the details, these are just a massive maze of trees. The trees grow in this brackish water — meaning salt and fresh water combined. There was some interesting tidbits from the guide that explained how the trees get rid of the salt when they process the water. Some take the salt and build these large black salt deposits off the branches. Others shove the salt into one leaf on each branch and it turns yellow and dies. You saw yellow leaves on each tree and that explained why. The tour didn’t start until the afternoon because a lot of the channels are too dry in the morning when the tide is out. There were a lot of locals in small rowboats out fishing with lines in the water. No poles. Getting dinner I figured. Birds were the main thing to spot. 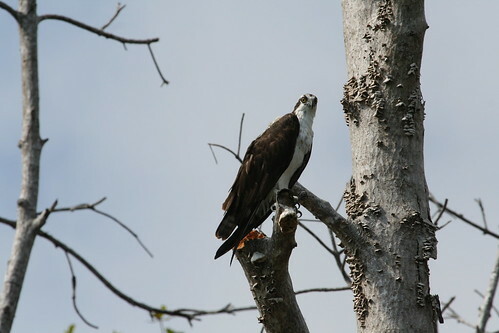 We are not that into birds but that guides are always very excited to see various ones that are more rare to encounter. 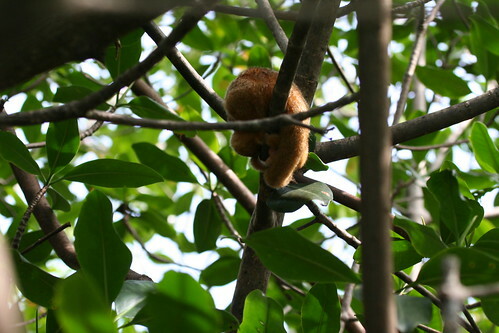 The only warm, fuzzy guy we ran into was a silky anteater. 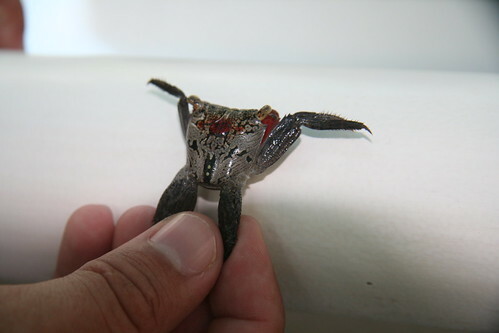 Apparently, these are not that often seen because they are so small and take up a very large territory. However, our guide was about to spot four different ones along our route. 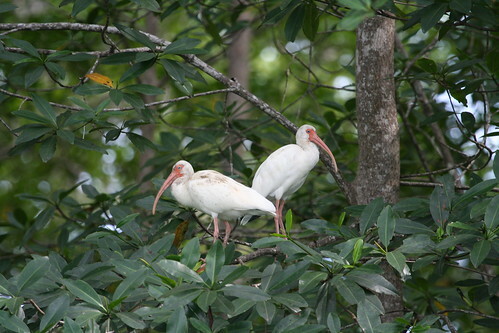 These guys feed on the massive termite nests that I have shown in earlier posts. 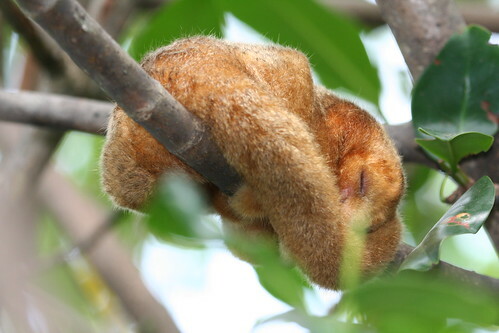 They are nocturnal so we got up close to one but he never moved or woke up. The boat driver also saw this crab over on a log and took the boat over and scooped him up. 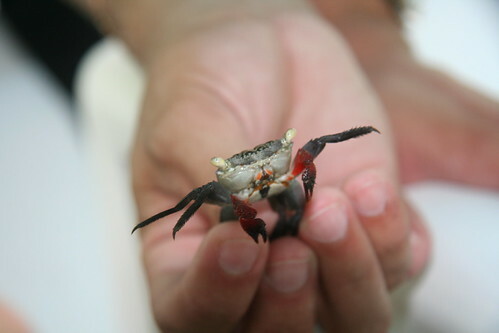 The crab sat there blowing bubbles out of his mouth. Apparently, this is to deter predators and make them think there is some nasty poison coming out of his mouth. The 2 hour ride seemed quick and my GPS (I always have it on!) said we did 5.17 miles with an elevation gain of 0 feet in 73 minutes, which is a moving pace of 14:18. The 0 feet was fitting since we were on water. GPS didn’t fail me there. View my full GPS data. 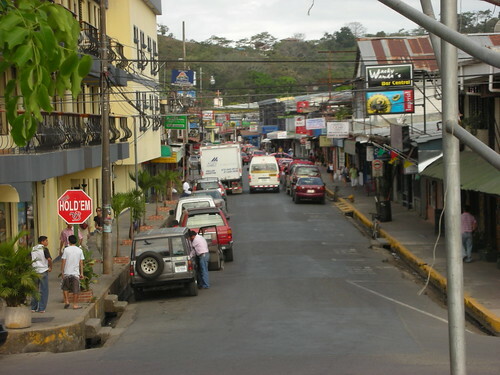 Afterwards, our bus was passing back through the town of Quepos and we figured we could save a cab fare by hopping out and checking out the town. It was a real working town — not a lot of tourist stuff. Most of the stores seemed to cater to the locals vs. the tourists. The town is built below sea level and has a big dike built along the ocean to protect it from the raging ocean on the other side. In the end, the town of Quepos wasn’t much to see. So we grabbed a cab and headed a few kilometers south back to our hotel. 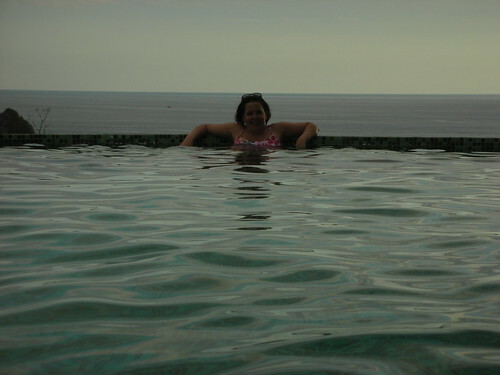 Back at the hotel, we went to the pool and took our last cool down in the infinity pool. We fly back to San Jose tomorrow and will spend the day and night there before flying home. 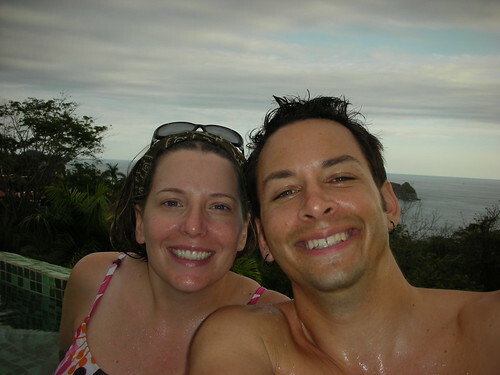 Probably won’t see the wildlife that we did here but we have done it all on the Costa Rican Pacific Coast and we are getting anxious to make our way home to the kids.